Mr. Eldon “Bill” Williams, 87, of Suttontown Rd., passed away at his home on Monday, December 3, 2018 with his family by his side. A Graveside Service will be held at 11 am on Thursday, December 6, 2018 at Clinton Cemetery with Rev. Bill Cotton officiating. Born on July 8, 1931 in Sampson County, Bill was son of the late Nathan Carlyle and Emma Thornton Williams. 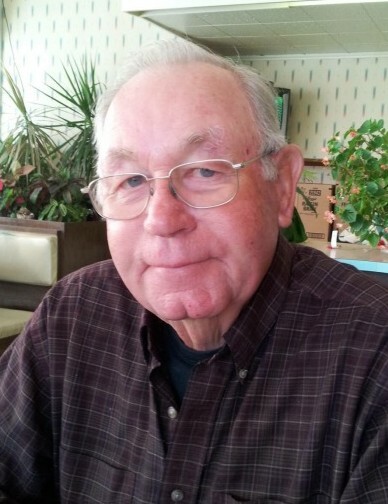 He was a retired farmer and warehouse supervisor for Number One Builders of Mount Olive. He attended Millers Chapel PFWB Church and he was an avid model train enthusiast. He is survived by his daughters: Teela W. Strickland and husband, Franklin of Faison, Sheila Williams-Coats and husband, Wayne “Junior” of Faison; and a sister, Dean Warren and husband, J.C., also of Faison. He was also blessed with a granddaughter, Christina Starling and husband, Kenny and a great-grandson, Hunter Starling; and two step-grandchildren: Rebecca Watson and Jeffrey Coats. He was preceded in death by his wife of 54 years, Evelyn Smith Williams; and his brother, Nathan Carlyle Williams. Visitation for family and friends will be held on Wednesday evening, December 5th from 6-8 pm at Royal-Hall Funeral Home, and other times at his home. The family would like to express their appreciation to Dr. Samer Kasbari and the entire staff at Southeastern Medical Oncology Center, as well as the hospice nurses at 3HC, for the excellent care and kindness shown to Mr. Bill during his illness. In lieu of flowers, memorials may be made to The Kitty Askins Hospice Center, 107 Handley Court, Goldsboro, NC 27534. Royal-Hall is honored to serve the Williams Family.